I need lots of parts, they need to be ordered in some way. On the other hand I may not use them for years and then when I need them, I need them immediately and I don’t want to spend ages hunting for them or end up ordering them online, waiting a week and then what turns up is ok, but just ok.
My workshop is quite small and so I do need to store stuff efficiently. I also drink far too much coffee, mainly because I walk through the kitchen on my way to the workshop and often make a drink to take with me. 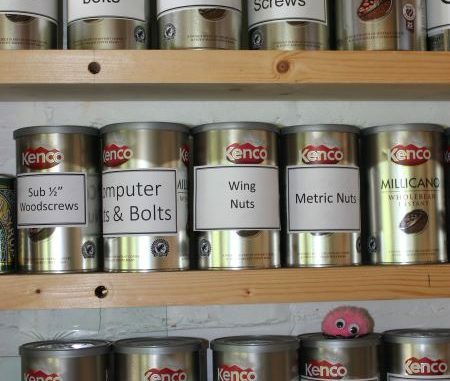 The Kenco Millicano coffee tins are just the right size for storing bits and bobs and the coffee is not bad either, well for instant that is. I literally just shake the last granules of coffee out of the tin and use it, I find best not to wash it out unless you dry it really thoroughly, the tins are free from moisture as this is the only way to store instant coffee. 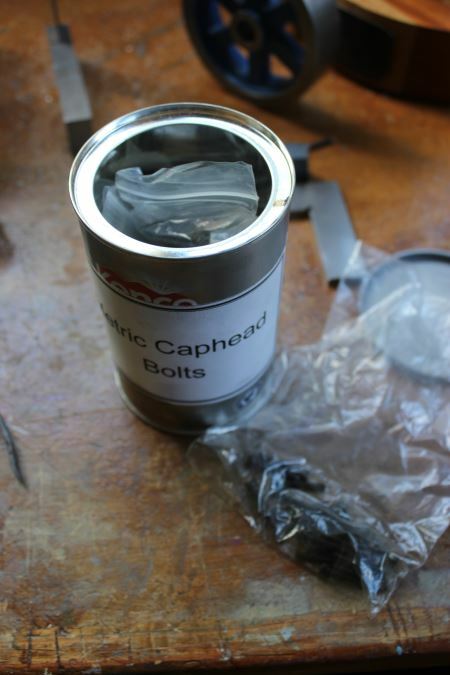 The example on the left shows the lid off the metric caphead bolts. As I have a selection of sizes, both thread diameter and in length, I use small sealable plastic bags to keep them sorted. How often do you break a mill bit or a centre? 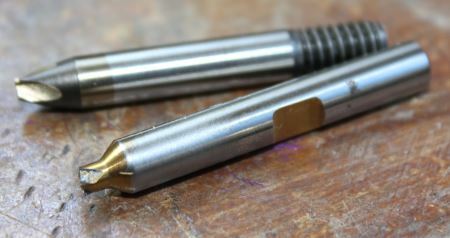 Not too often hopefully, but when you do these are a useful form of HSS material that can be re-ground to make a fly-cutter or a tip for a special tool. So once again a Kenco coffee tin works wonders. 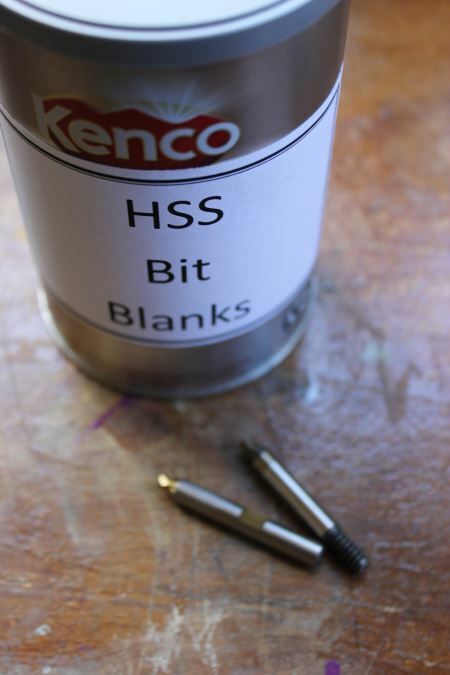 In this case I just have a plain tin with the bits rattling around the bottom – hopefully it will remain like this and I won’t break too many cutting tools. It does look like I drink far too much coffee though, I wonder what that is doing to me?